Is this a New Zwift Challenge? My first thought was: hurray! 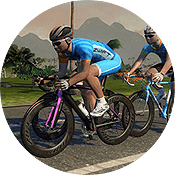 Zwift has finally created another challenge! 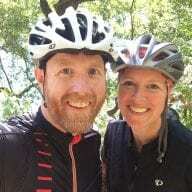 This is something veteran Zwifters have requested for years, since we’ve knocked out the three existing challenges (Tour Italy , Ride California. and Climb Mt. Everest) a long time ago. These longer challenges provide wonderful carrots to encourage longer, harder, and more frequent efforts. 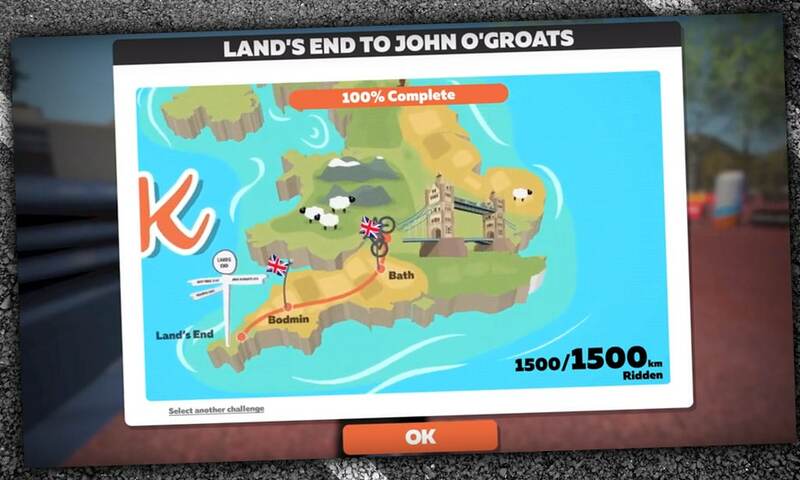 And this challenge made sense: Zwift already has the London course, with a rumored Yorkshire UCI Worlds course possibly coming this year. A LEJOG challenge (riding the length of Great Britain) seems smart! But then reality set in. I noticed the challenge progress meter read “100% complete.” Plus Will’s Facebook profile said he was a graphic designer–a creative guy! And there were no Zwift updates to download. But the video was so polished!? I was putting together a video for an upcoming ride this summer and I thought, why not do it in the style of Zwift? Having said that, it’s quite frustrating to have not seen any new challenges in years, despite the fact that you can knock out the graphics for one in an afternoon! They should add an around the world one; that would keep people quiet for a while. I thoroughly agree, Will. Hey Zwift: give us more challenges! It was difficult to match the art style of the previous challenges because the style is different on all three. This is a sort of hybrid. It took about six hours to do but that included a couple of hours recreating assets that already exist in Zwift. Forget challenges. How about new worlds? Richmond is about as boring as the real thing, and Innsbruck is definitely meh. New worlds are not comparable to adding a new challenge. There is clearly massively more work in creating worlds. I would definitely want to see a new challenge. It is very overdue. Of course that it’s a lot more work to create a world than a challenge, which makes it all the more infuriating that two of the five worlds are as boring as Richmond and Innsbruck (with London not far behind on the old excitement meter). Talk about no imagination. You can create whatever virtual world you can dream of, and you choose to recreate Richmond? No offense to Richmond, but that’s ridiculous. I get that the World’s were held there, but so what? And I don’t get the appeal of challenges either. I would much rather ride in an exciting virtual world with the most boring bike than ride in Richmond with a Tron bike. @Sergio – Richmond and Innsbruck (and to an extent London) were created out of arrangements with the UCI, so money and sponsorship talks to some extent there. 😉 At least now we have a little bit of world choice so you can always ride Watopia! Man those days you logged in and saw it was a Richmond day just sucked, haha! In defence of Richmond I think the UCI worlds lap is really cool to race. While it looks less interesting than, say, Volcano Circuit, Hilly route or Figure 8 route on Watopia, I’d choose Richmond race any day over these because of the profile.